Graham joins LINK as an experienced business professional working in senior franchise and development roles with a number of well known brands such as Bakers Delight, Burger King, Cheesecake Shop, 7 Eleven , Gloria Jean’s Coffees and SumoSalad. His qualifications take in advanced management, behavioural selection and commercial mediation. Graham is also a Licensed Business Broker (LBB). Aiming to Assist in order to avoid potential misunderstandings between parties, Graham has actively participated in commercial mediation procedures. Buying or selling a business can be a complex and time consuming process, where the ability to identify both opportunity and risk are critical to success. From his years of experience, Graham knows and understands that all businesses are unique. It is through his experience as a sales professional that Graham is able to assist with business transactions, taking the time to understand the needs of his clients so they are able to benefit from this. Graham’s strength lies in his strong communication skills, high attention to detail and a commitment to delivering desired outcomes for his clients. Graham’s commitment and passion is to provide regular updates regarding the status of transactions to clients. 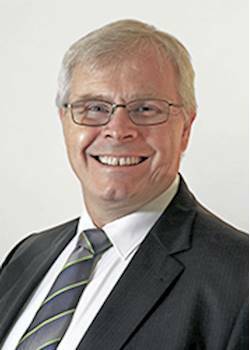 He liaises with accountants, lawyers, bankers and business advisors to effectively address the various commercial issues which may arise when buying or selling a business. With over 30 years experience in the business community, Graham is passionate and dedicated in providing the service that makes each transaction as seamless and successful as possible.